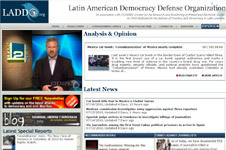 LADDO and its affiliates discover and monitor anti-democratic behavior and distribute it information site throughout Latin America to inform the public about. Tuspuentes reunites migrants and their families by relaying information about each other's daily lives in a which oftentimes haven't seen or spoken to each other in years. Using a novel approach with reporters in each city and our full featured social networking platform, CommunicatoTM, we are facilitating communication amongst these peoples. Hispanopolis produces videos for business owners and personalities looking to distribute their message in a managed format. Utilizing our Content Management System (CMS), the MagicBoxTM, and our crack video production teams in the USA and Mexico we create and display high quality videos on a functional website. 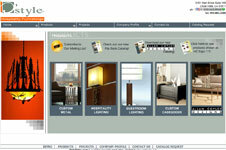 This website aims to develop an online center to facilitate business between different regions, cities and countries. 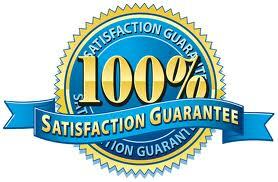 Opportunities for Investment, opportunities to grow and expand your business, trade, guides and professional advice. With the help of our ContentBankTM, network of experts around the world and our social networking platform, CommunicatoTM, this website will offer myriad resources and a marketplace for trading products and raw materials. 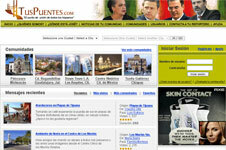 ForoJudio is the official site for the diverse Jewish communities of Mexico. The goal is to unite the communities by offering them a secure resource where they can interact and share thoughts and ideas. This site utilizes our content management system, the Magic Box to handle content publication as well as collaborative tools like forums. The community is always up-to-date with the latest blog and news postings thanks to our integrated automatic newsletter distributor. 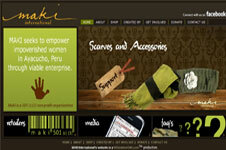 MAKI is a 501 (c) (3) non-profit organization and works with women throughout Ayacucho, Peru. MAKI provides the framework for creating, exporting, and selling the beautiful knit goods and handicrafts made using the Peruvian women's existing talents and traditions while providing a way of making a life for women that are victims of domestic violence or incarcerated and for rural mother's groups as well. Their requirements were both, a corporate website to showcase the social project and its benefits, as well as an ecommerce solution where the women could sell their goods.